Bed mounted on 100mm dia. swivel castors, 2 with brakes. 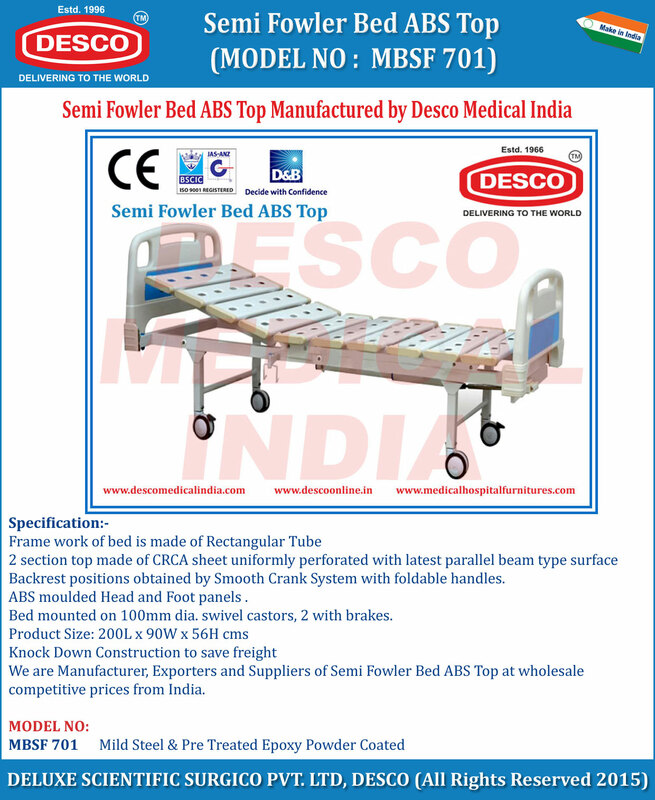 We are Manufacturer, Exporters and Suppliers of Semi Fowler Bed ABS Top at wholesale competitive prices from India. MBSF 701 Mild Steel & Pre Treated Epoxy Powder Coated.